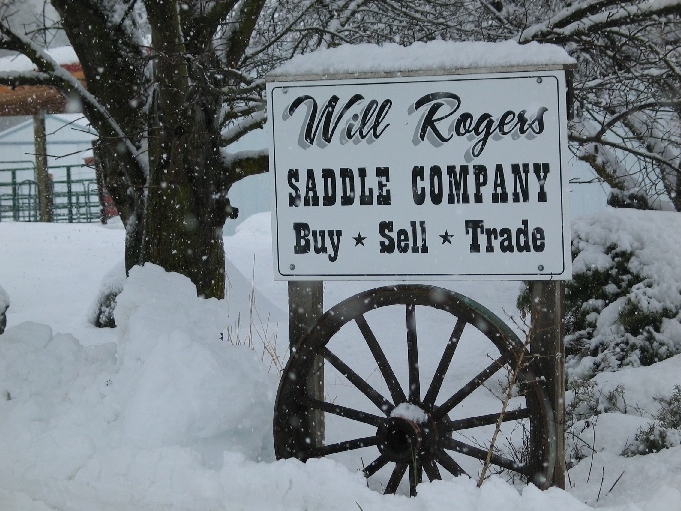 Will Rogers Saddle Company is family owned and operated. We have been in business since 1979. Our store is located in Mead, just 15 minutes north of Spokane, Washington. We are open 9-5 Monday through Saturday. Closed major holidays. Will lived a long life. He was my favorite riding partner up until he had a stroke on his 94th birthday. He loved God, family, horses, and hunting. Also, LOVED to tell stories. And he had plenty. His young life was exciting with tales of helping his father bootleg whiskey, days spent in a one room schoolhouse, and a ride across the country in a Conestoga style wagon. His time in the U.S Army, at the Battle of the Bulge, showed what kind of man he was. He brought home many medals, including a Purple Heart, and turned down further awards for bravery because he said he was just doing his job. With his wife Louise, he raised his children, foster children, lost children, and anyone that showed up on his doorstep. And many did. Will always had a great love for horses, especially Tennessee Walkers. And he rode, packed in, and enjoyed some really great ones. 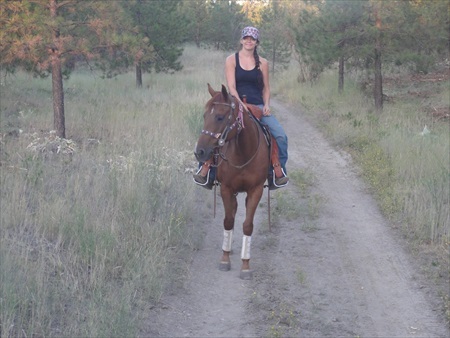 He is pictured on Dora, a very sweet mare that would do anything to please him. She passed unexpectedly last May. We are so honored to have been given the store and be able to continue what he loved. We all have learned so much from Dad, Grampa, and Will. And of course, even though we have no doubt in our minds where he is now, we all still miss him greatly! This is Anita, Will's daughter, riding Tula at Riverside State Park. Tula is a quarter horse. Tula is AWESOME!!! 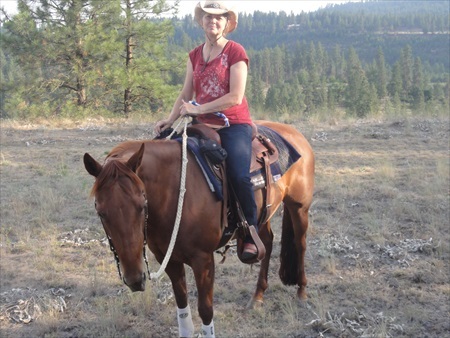 Anita loves to trail ride, do a little reining, and hang out with her horses... when she's not at work. Annie is Anita's daughter. She's enjoying a trail ride on Norma. Sierra is Anita's granddaughter. 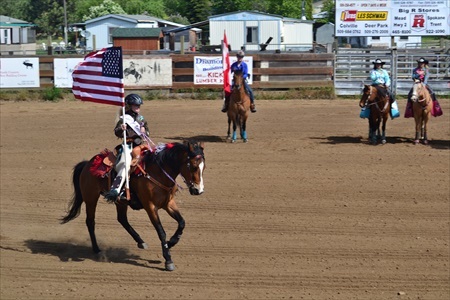 She is the Springdale Open Rodeo Queen. She's riding Taga (Gramma's horse).